Having already proved their worth and potential three years ago with their stunning debut album Ascending, this young band have evolved into something truly extraordinary this time round. In stark contrast to many retro-minded records currently doing the rounds, Beyond Spectra offers much more than affectionate pastiche and Luddite petulance. Instead, this is the sound of red-blooded heavy metal with its eyes focused on the depths of outer space, as the rampaging grooves and analogue hiss of prime ‘70s proto-doom, the swaggering boogie braggadocio of UFO and the stately grandeur of Sad Wings-era Priest collide in a mesmerising shower of irresistible riffs, unearthly melodies and moments of shimmering psychedelia. 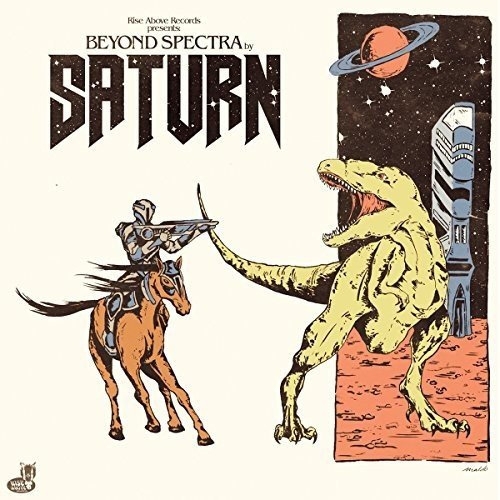 Songs like opening intergalactic rager Orbital Command and the sumptuous interwoven dynamics and dark drama of Nighttime Badger proudly proclaim their debt to the pioneering heavy metal greats of the ‘70s but there is so much energy, verve and ingenuity on display throughout that Saturn sound much more like the future than the past.